Sohag is an Egyptian city nestled on the west bank of the Nile. With a population of more than 200,000 people, it is the capital of Sohag Governorate. Sohag offers calm with its greenery and beautiful views of the Nile. Tourist attractions include Sohag Pharaonic Museum, Sidi Arif Mosque and The Coptic White Monastery. Get ready to discover Egyptian historic treasures and sites, with cheap flights to Sohag. Sohag is home to Sohag International Airport (HMB), which is a 60-minute drive from the city centre of Sohag. Beautiful religious buildings carrying a wealth of the city’s history can be seen on a tour of Sohag. Make sure to visit the Red Monastery and Coptic White Monastery. A stroll through Sohag’s markets will leave you with an abundance of ripe fruits and vegetables, and handmade products such as baskets and scarves. Visit Souq el-Qisareya and Souq el-Itnein for a shopping extravaganza. Taste the rich flavours of the city. 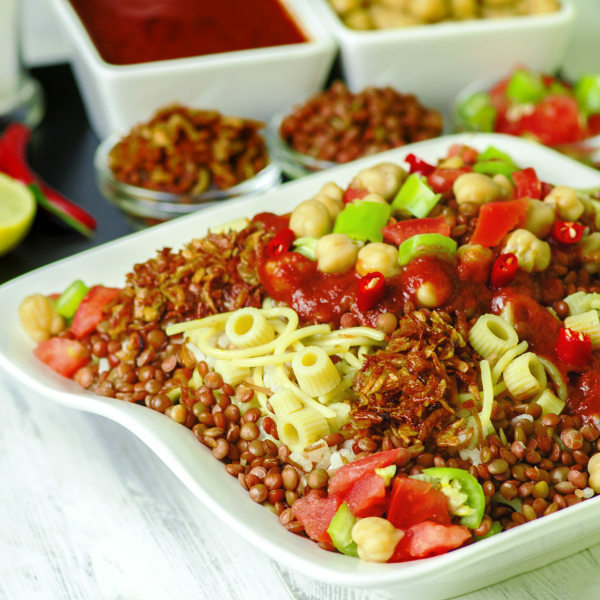 There are many restaurants to visit which offer Eastern Mediterranean dishes such as shawarmas, kebabs and kushari. Owing to its location on the east side of the Sahara in North Africa, Sohag is one of the warmest cities in Egypt. Summers (March to November) are long with arid conditions in Sohag, while winters (December to February) are short with cool and dry conditions. The months of October and November are considered the best time to visit Sohag, as day temperatures rise up to 31°C, while night time temperatures drop to 17°. The enchanting city of Sohag is an Egyptian wonder. Located on a fertile agricultural plain, the city offers a calm countryside ambience with lush greenery in abundance. Sohag is home to two islands: Karaman-ez-Zahur Island and ez-Zahur Island. 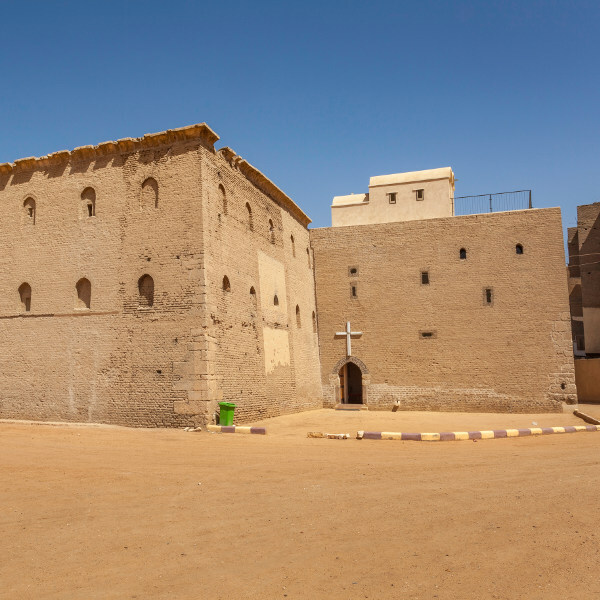 During your travels in Sohag, visit the archaeological sites, including the Red Monastery and the Coptic White Monastery. These limestone and red (burnt) brick buildings will take you back in time as you tour the epic grounds. A visit to Sohag Museum should also be on your list of things to do in the city. With around 5000 artifacts from the Middle Kingdom to Greco-Roman times, you are sure to be impressed. What would a trip to Sohag be without visiting the bazaars? Here, you’ll find beautiful handwoven baskets and colourful scarves. 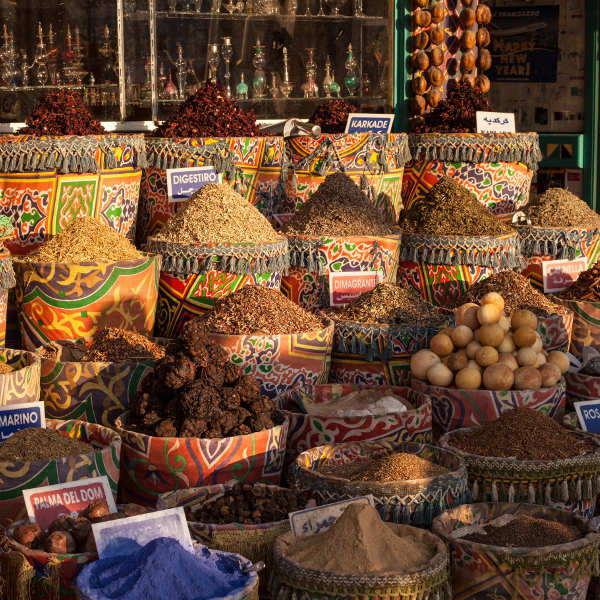 Shop amongst the locals and experience the bliss of this lesser known Egyptian city. Compare several airlines and book your cheap flights to Sohag online with Travelstart! Tourists are advised to remain cautious throughout their stay in Sohag, as with every travel destination. Be vigilant when walking through the markets, as this is where pick-pocketers and bag-snatchers tend to target tourists. Do not flash your electronics or jewellery in public places and avoid walking alone at night. Travellers are advised to have all routine vaccinations before departing for Sohag. These vaccines include measles-mumps-rubella (MMR), diphtheria-tetanus-pertussis, varicella (chickenpox) polio and yearly flu shot.